I saw your ad on Craigslist for the juicer I am VERY interested, however, in the ad you say that it was "used only once, still in box". I see from the picture that you used it for juicing carrots. I have an extremely moderate carrot sensitivity and I am a little bit concerned that there could be carrot residue, carrot fibre, carrot juice, carrot skin, carrot seed, and/or carrot top remaining on the cover, the strainer, the fruit/vegetable hopper, the blade mechanism. the pulp extractor, the food pusher, the juice spout and/or the outer chassis. 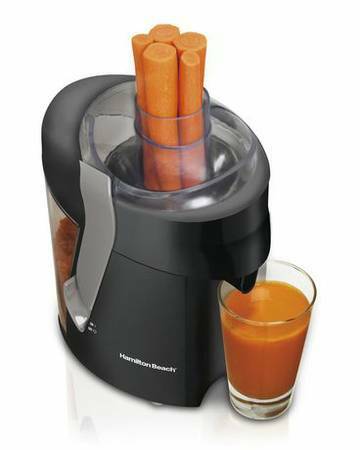 How sure are you that the juicer and all of its components are in a carrot-free state? (please note that officially Hawaii is the only carrot-free state. Also please note that although I have allowed myself one brief moment of levity with regard to the double meaning of the word state, my concerns listed above are serious). Nowadays Internet marketing is very important one. because most of the peoples are using internet. Craigslist is best one for promote the business.